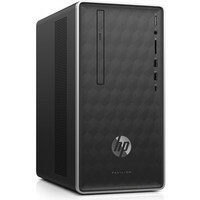 Ordinateur monté HP pas cher - Achat au meilleur prix ! HP Pavilion Gaming 690-0015nf (4KC76EA) + bundle Fortnite offert ! PC de bureau - Intel Core i5-8400 Hexa Core 2.8 GHz - 8 Go DDR4 - HDD 1 To - NVidia GeForce GTX 1050 Ti - Windows 10 + 2000 V-Bucks et pack contre-attaque offerts ! 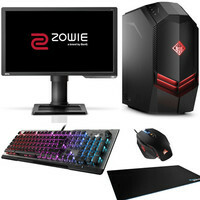 HP Pavilion Gaming 690-0999nf (4RT80EA) + bundle Fortnite offert ! PC de bureau - Intel Core i5-8400 Hexa Core 2.8 GHz - 8 Go DDR4 - SSD 128 Go - HDD 1 To - NVidia GeForce GTX 1060 - Windows 10 - Clavier et Souris Inclus + 2000 V-Bucks et pack contre-attaque offerts ! HP Pavilion Gaming 690-0011nf (4JS31EA) + bundle Fortnite offert ! PC de bureau - Intel Core i5-8400 Hexa Core 2.8 GHz - 8 Go DDR4 - HDD 1 To - NVidia GeForce GTX 1050 - Windows 10 - Clavier et Souris Inclus + 2000 V-Bucks et pack contre-attaque offerts ! 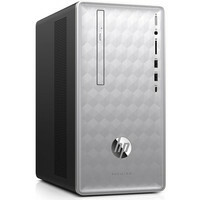 HP Pavilion 590-0063nf (4RS79EA) Argent + bundle Fortnite offert ! PC de bureau - Intel Core i3-8100 Quad Core 3.6 GHz - 8 Go DDR4 - HDD 1 To - NVIDIA GeForce GTX 1050 - Windows 10 + 2000 V-Bucks et pack contre-attaque offerts ! HP Pavilion 27-xa0058nf (5WC23EA) + bundle Fortnite offert ! PC All-in-One 27'' QHD (2560 x 1440) - Intel Core i5-8400T Hexa Core 1.7 GHz - GeForce GTX 1050 - 8 Go DDR4 - SSD 256 Go - HDD 1 To - Windows 10 - Clavier et Souris Inclus + 2000 V-Bucks et pack contre-attaque offerts ! HP Omen 880-588nf (4NH34EA) + bundle Fortnite offert ! PC de bureau Gamer - Intel Core i5-8400 Hexa Core 2.8 GHz - 8 Go DDR4 - SSD 256 Go - HDD 1 To - Nvidia GeForce GTX 1060 - Windows 10 + 2000 V-Bucks et pack contre-attaque offerts ! HP Omen 880-184nf (4NG93EA) + bundle Fortnite offert ! PC de bureau Gamer - Intel Core i5-8600K 3.6 GHz - 16 Go DDR4 - SSD 256 Go - HDD 1 To - Nvidia GeForce GTX 1060 - Windows 10 + 2000 V-Bucks et pack contre-attaque offerts ! 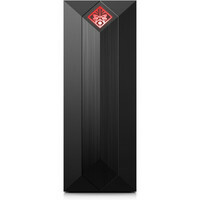 HP Omen Obelisk 875-0043nf (5EM20EA) + bundle Fortnite offert ! PC de bureau Gamer - Intel Core i5-8400 Hexa Core 2.8 GHz - 8 Go DDR4 - SSD 128 Go - HDD 1 To - Nvidia GeForce GTX 1060 - Windows 10 - Clavier et Souris Inclus + 2000 V-Bucks et pack contre-attaque offerts ! HP Omen Obelisk 875-0086nf (5KN99EA) + bundle Fortnite offert ! 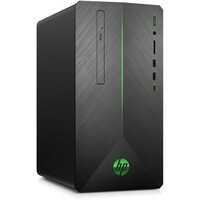 PC de bureau Gamer - Intel Core i5-8400 Hexa Core 2.8 GHz - 8 Go DDR4 - SSD 256 Go - HDD 1 To - Nvidia GeForce GTX 1050 Ti - Windows 10 - Clavier et Souris Inclus + 2000 V-Bucks et pack contre-attaque offerts !